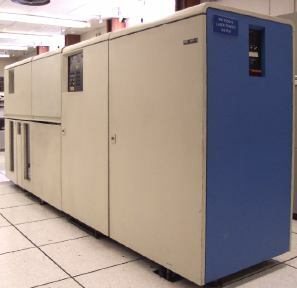 The very first commercial laser printer was the IBM 3800, released in 1976. This innovative machine took up a large part of a room, but would pave the way for future laser printers that would change the business world by putting printing directly in the hands of office users. In 1986, the toner cartridge remanufacturing industry was introduced to the world and would quickly become a friend to those on a budget. Remanufactured cartridges not only save consumers money, but also help to preserve the environment by eliminating the amount of cartridges in landfills. Inkjet cartridges contain liquid ink whereas toner cartridges hold a powder that is generally a mixture of carbon and polymer. Older monochromatic models used only black toner, and many monochrome laser printers still do today. Today, color laser printers use the CMYK format, which includes four toner cartridges, each containing a separate color of cyan, magenta, yellow and black and can be blended to create a wide color palette. Approximately 300 million cartridges are thrown away every year. One cartridge is thrown away every 8 seconds in the United States. 20 to 30% of cartridges sold are remanufactured. Remanufactured cartridges can often cost less than half the price of OEM cartridges. A print cartridge could spend up to 1,000 years in a landfill before it completely biodegrades. Lining up one year’s worth of discarded cartridges from end to end could circle the entire earth. As you can see, it is very important to recycle your toner cartridges. You can even go a step further to reduce your office’s carbon footprint, however, and purchase remanufactured cartridges. These cartridges are less expensive, and are made from recycled cartridges so that less waste is created by the manufacturing process as well.